2019 IIER 749th International Conference on Social Science and Economics ICSSE will be held in Manama, Bahrain during 10th - 11th November, 2019 as the Conference of ICSSE-2019. ICSSE 2019 is sponsored by International Institute of Engineers and Researchers IIER. It aims to be one of the leading international conferences for presenting novel and fundamental advances in the fields of Social Science and Economics. It also serves to foster communication among researchers and practitioners working in a wide variety of scientific areas with a common interest in improving Social Science and Economics related techniques. 2019 IIER 642nd International Conference on Law and Political ScienceICLPS will be held in Manama, Bahrain during 10th - 11th November, 2019 as the Conference of ICLPS-2019. ICLPS 2019 is sponsored by International Institute of Engineers and Researchers IIER. It aims to be one of the leading international conferences for presenting novel and fundamental advances in the fields of Law and Political Science. It also serves to foster communication among researchers and practitioners working in a wide variety of scientific areas with a common interest in improving Law and Political Science related techniques. 2019 IIER 753rd International Conference on Advances in Business Management and Information Technology ICABMIT will be held in Manama, Bahrain during 10th - 11th November, 2019 as the Conference of ICABMIT-2019. ICABMIT 2019 is sponsored by International Institute of Engineers and Researchers IIER. It aims to be one of the leading International conferences for presenting novel and fundamental advances in the fields of Business Management and Information Technology. It also serves to foster communication among researchers and practitioners working in a wide variety of scientific areas with a common interest in improving Business Management and Information Technology related techniques. ISERD – 599th International Conference on Environment and Natural Science ICENS aimed at presenting current research being carried out in that area and scheduled to be held on 10th - 11th May, 2019 in Manama, Bahrain. The idea of the conference is for the scientists, scholars, engineers and students from the Universities all around the world and the industry to present ongoing research activities, and hence to foster research relations between the Universities and the industry. This conference provides opportunities for the delegates to exchange new ideas and application experiences face to face, to establish business or research relations and to find global partners for future collaboration. 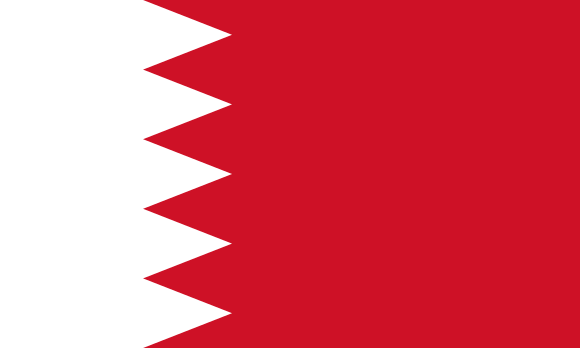 Bahrain a young population with an economy on the move, transforming rapidly into a modern nation, needs a platform to plan and to translate those plans into reality. Today with a larger investments in science, research and developments which can intercept the growing necessity of modernization in social, health, security, scientific and economic sectors, need to have platforms like conferences, seminars , workshops n other related events which can throw light on different areas.